3/11 Lincoln Log – line up your sitter for Friday’s auction! Happy Sunday! I hope you had a great weekend. Welcome to the first five day school week in quite some time! The Spring Break countdown is officially on! I look forward to celebrating our Fine Fine School with each of you on Friday evening at our annual Lincoln School Auction. See below for more information and to purchase tickets in advance. It will be a great evening to support Lincoln, visit with friends and take in some March Madness basketball. With thoughts of spring in the air, we are excited to announce our Spring Break Spirit Week. To celebrate the start of spring and our upcoming break from school, next week (March 19-23) we will celebrate with the following themed school spirit days! -Mix up your clothes, wear tacky colors, crazy socks, wear your clothes backwards or crazy hair! -Wear your favorite hat to school! – Saddle up and sport your favorite jeans, boots, plaid shirts or western gear! -Wear your favorite pajamas, bring your favorite book and get ready too Drop Everything And Read several times throughout the day! -Celebrate the start of Spring Break by wearing your favorite vacation shirt and sunglasses! Upon returning from Spring Break, our third and fourth grade students will participate in the annual PARCC Testing (The Partnership for Assessment of Readiness for College and Careers) in the content areas of Mathematics and English Language Arts. Below is the testing schedule we will follow at Lincoln. Annual Lincoln School Auction – THIS FRIDAY, 3/16, 6:30pm – tickets on sale NOW! Our annual Lincoln School auction is coming up this Friday!! Please join us at Lake Street Kitchen at 6:30pm. Drinks are included in the ticket price from 6:30-8:30pm. If you are unable to attend, you are welcome to make a donation, in any denomination, via the ticket purchase page (same link below). 100% of proceeds go to our school! Please buy your tickets here in advance! Please be sure to set up your mobile device on Silent Auction Pro in advance for easy bidding the night of! Here is a link to a tutorial on how to do this. We have also included some screen shots below. Lincoln’s group number is 734. We look forward to seeing you all there this Friday! 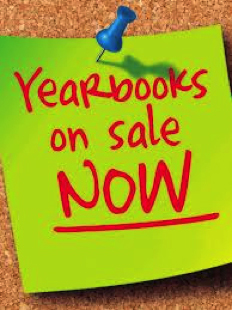 Yearbooks are now available to order on the PTO Web Store. Reserve a copy for your student(s) before April 1st and you’ll save $5. $25 gets you a hardcover book and a souvenir pen. Books are distributed during the Ice Cream Social on June 1st. Save your confirmation email from the PTO Web Store so you can quickly confirm your order when “end of the school year” panic sets in! Do you have some precious photos of Lincoln students at school events? Share some of your best school photos with the Lincoln Yearbook! We’d love to see your PTO event, playground or classroom photos. We are also interested in Girl Scout, Boy Scout, and holiday concerts. Please email lincolnyearbookpto@gmail.com or use our Yearbook Google Drive. Please note, we can only use high-resolution photos, so please select a large file size and know that only 3-5 photos will fit on a single email. We don’t mind receiving multiple emails! Thank you! Connect4Kids is a PTO affiliated organization that focuses on supporting and enhancing the social and emotional learning of the District 90 community. How do we help children digest all that they see around them–including the pain of traumatic events such as mass school shootings—on the news, the internet, social media and even in their own communities? Mental health professionals from Smart Love Family Services, a not for profit counseling agency in Oak Park, will answer this question utilizing Smart Love’s years of experience and expertise working with parents and children. The presenters will share information from a child development perspective—that is, guidelines on what and how much to share based on a child’s developmental stage. See the attached c4k flyer for more information. Dine ‘n’ Share this Thursday at The Junction Diner! 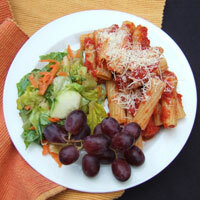 Please join us for a dine ‘n’ share fundraiser at The Junction Diner on Thursday, March 15th from 11am -8pm. Take a break from cooking and come in for some delicious food and a fun atmosphere for the kids. The Junction Diner will donate 10% of all sales from the event back to the Lincoln PTO. Thank you for your continued Lincoln PTO support!. We are wrapping up our Monarch and Bluestem reading! The original deadline is being extended two weeks to Thursday, March 15 due to some long waits for the books. If your child has just a few left, please be sure to use the River Forest Public Library as well to ensure meeting the deadline. If your child has read all 20 Monarch titles or all 20 Bluestem books, please turn the signed reading log into the library by March 15th. If you have any questions, please contact Mrs. Brauweiler directly. Happy Reading! Here is a video explaining the rules, etc. ​Contact Mrs. Clasky if you would like more information (claskya@district90.org). 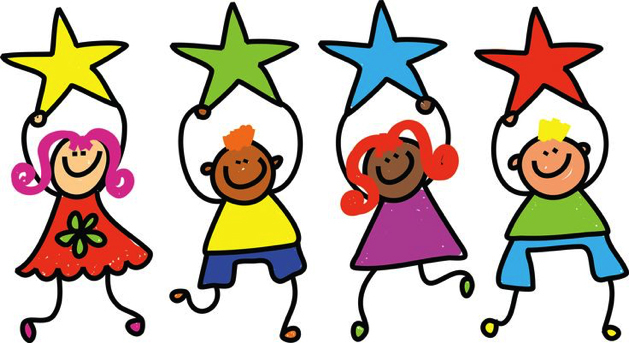 NOTE – PARENT VOLUNTEER NEEDED: We are in need of a parent volunteer to combine the 4th grade student photos into a commemorative video set to music. This is a strictly from home, on the computer, project. It is a fun, heartwarming, laugh-inducing, and rewarding opportunity! Contact Suzanne D’Agostino (suzanne.dagostino@gmail.com) or Amy Prestes (amyprestes@gmail.com) for more information or to volunteer. Would your son or daughter like to participate in one of Lincoln School’s Field Day traditions? Our kids have excitedly been watching the “big kids” (aka – 4th graders) over the years entertain and kick off Field Day with Drumming and the Maypole Dance. Now it’s their turn to participate! Field Day is currently scheduled for the last day of school, Friday, June 8. Your 4th grader can choose to participate in the Maypole Dance and/or Drumming. We are in need of parent volunteers to help guide and instruct the students in the drumming activity. Please email Suzanne D’Agostino (suzanne.dagostino@gmail.com) or Amy Prestes (amy.prestes@gmail.com) if you are interested in leading the 4th graders in this Lincoln Tradition. Please click here to pay your $25 4th Grade Activity Fee.This money goes toward the t-shirt that your 4th grader will wear during Field Day and the cost of the 4th grade breakfast celebration on the last day of school. If you are unsure if you have already paid, please click here and log in to review your order history on the PTO webstore. Any questions? Contact Suzanne D’Agostino (suzanne.dagostino@gmail.com) or Amy Prestes (amy.prestes@gmail.com). A video will be shown at the 4th grade breakfast on the morning of June 8. The video will contain pictures of the 4th graders through their years at Lincoln School. So grab a box of tissues and scroll through your old photos. Please begin to gather a variety of photos of your child commemorating all of their years at Lincoln, grades K through 4. We suggest photos from school events, school concerts, class parties, field trips, PTO events, back to school pictures, Cub Scouts, Girl Scouts, other clubs, youth sports teams, pictures with good Lincoln buddies, etc. We will set up a method for collecting those photos in the coming weeks. Please remember during cold and flu season to keep your child home if they are sick. If they have a fever they need to be fever free for 24 hours without the use of fever reducing medication before they can return to school. If they are vomiting and/or have diarrhea, make sure it has been at least 24 hours since the last episode before returning to school. If your child has an excessively runny nose or cannot stop coughing, it may be a good idea to keep them home. This is to protect your child from catching something if their immune system is down, as well as to protect the other students and staff. Thank you for doing your part to keep everyone at Lincoln School healthy.